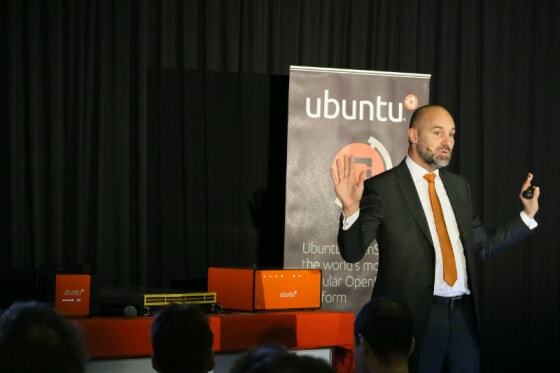 Mark Shuttleworth talks about why we build tools like OpenStack, its new features and how it is evolving for everyone. Day three of the summit didn’t feature highlighted keynote sessions like days one and two. But it did have an entire Canonical track schedule, which kicked off with Mark Shuttleworth talking about why we build the tools and features we do, what’s new, and some of what’s to come. The centers of gravity I mentioned yesterday anchor everything, and Mark’s message yesterday spoke to why – OpenStack for everyone. OpenStack continues to evolve to be more than a very exclusive, specialist, cluster to something everyone can run for themselves. The driver behind all of this is economics. OpenStack makes the private cloud possible and rational. What Mark’s saying is that as we continue to scale out and grow compute capacity, the underlying solution must have a scalable economic model, or it’s not rational to pursue it. The economics are as important as the technology itself. Mark also talked about the importance of the changes to the governance of the core projects and how important that is to Canonical. There are so many supporting projects now that it’s important we have a definitive focus on the compute, networking, and storage projects. Everything Mark talked about fit into the theme of the week, and led into some new product introductions. In Vancouver Mark demonstrated the OpenStack Autopilot. Yesterday, he announced the GA of Autopilot for the 10th of November. The OpenStack Autopilot brings together everything we’ve learned from very large, very small, very interesting OS deployments and allows us to distill our insight into code that everyone can use. This is really a different approach than the high touch, highly customized installations of OpenStack that are so popular with some distributions. We think that the consumability and usability of OpenStack is more important than corner case features. This doesn’t mean we can’t do both, but for the economics to really work, the intelligence needs to be built into the software, not just the people. With Autopilot, Canonical’s “OpenStack Reference Architecture” is not a finite plan, but rather intelligently, automatically built, based on the hardware that’s there. And it dynamically will update itself as you add additional hardware. Mark also touched on the networking theme that’s been pervasive this week, but, he talked about it from a slightly different perspective. He talked about how Canonical is using Snappy, a read-only, small footprint Ubuntu as the base for a new generation of network switches. The thought here is that our SDN partners can be freed up to focus on networking. We’ll handle the drivers, the kernel, the patching, the security. Basically, we do what we do best, and they do what they do best. The decoupling of the network control layer (the SDN partner solution) from the operating system also makes for increased portability of an SDN solution. If the SDN vendor doesn’t have to write and maintain firmware and hardware-specific drivers for each build of their software, then it can run literally anywhere that Canonical has validated Snappy. Mark announced three partners already in his talk yesterday – Quanta Cloud Technology, Agema, Penguin Computing. Everything happening at OpenStack Summit this week is pushing toward ease of use, faster deployments, machine intelligence in our private clouds. It was really cool to hear Mark talk about all the ways that Canonical is helping support that in the OpenStack community. If you haven’t had a chance to try out Ubuntu OpenStack yet, or want some help getting going, you should consider BootStack, an inexpensive, privately managed OpenStack solution. Check it out here.